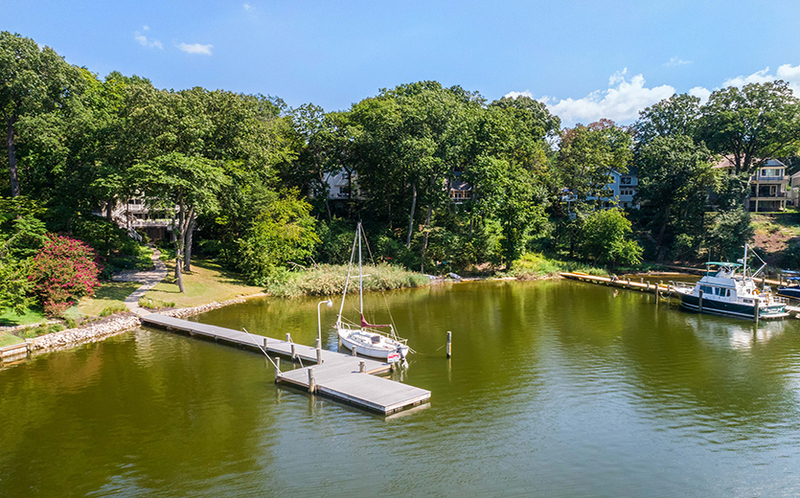 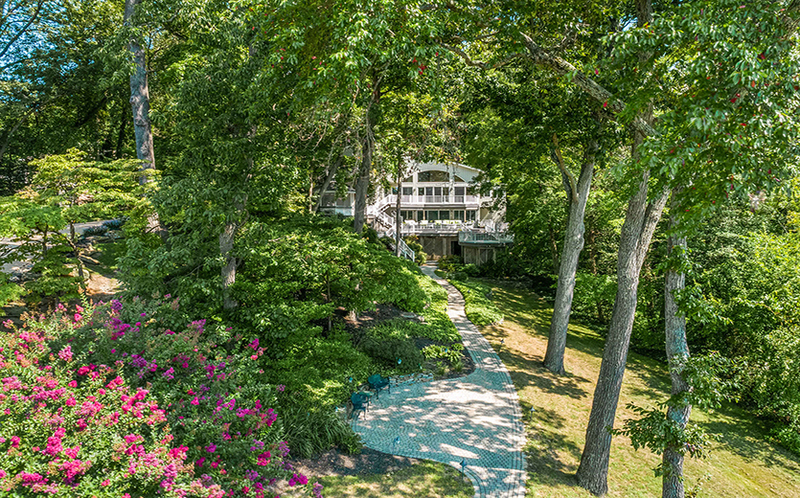 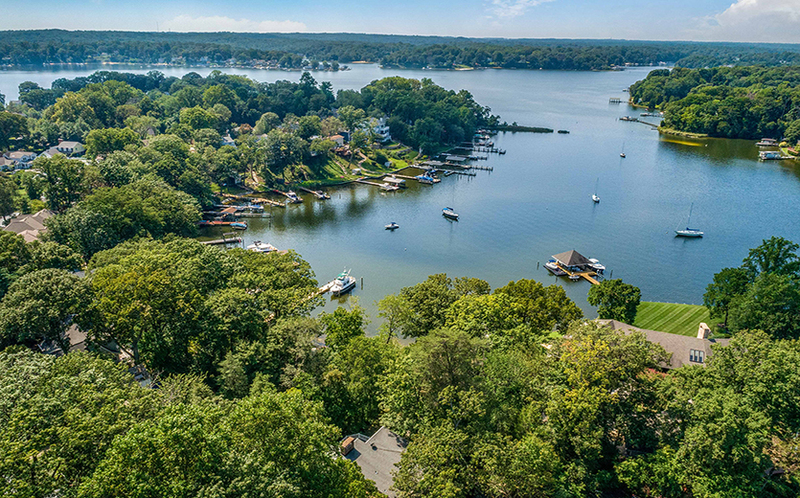 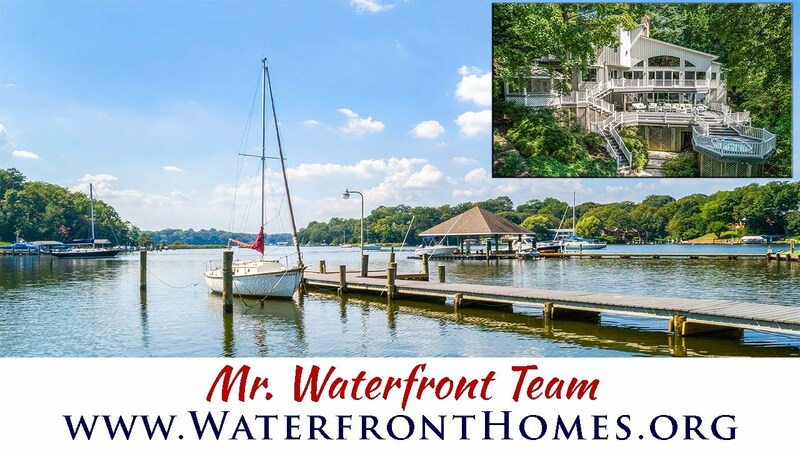 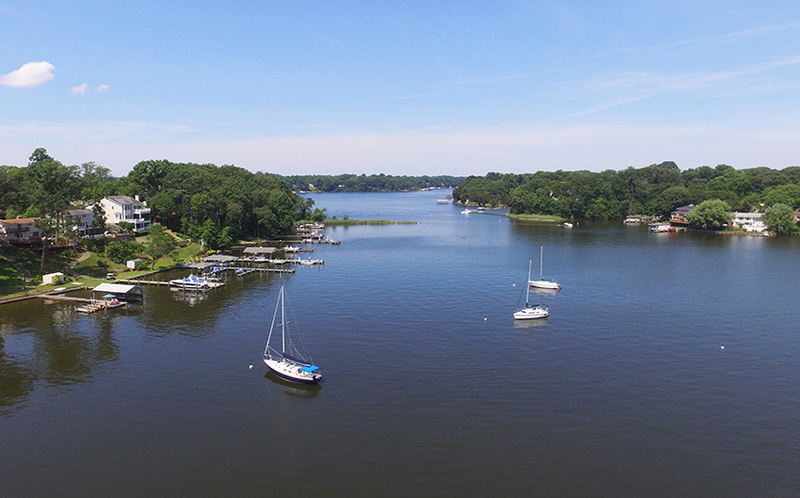 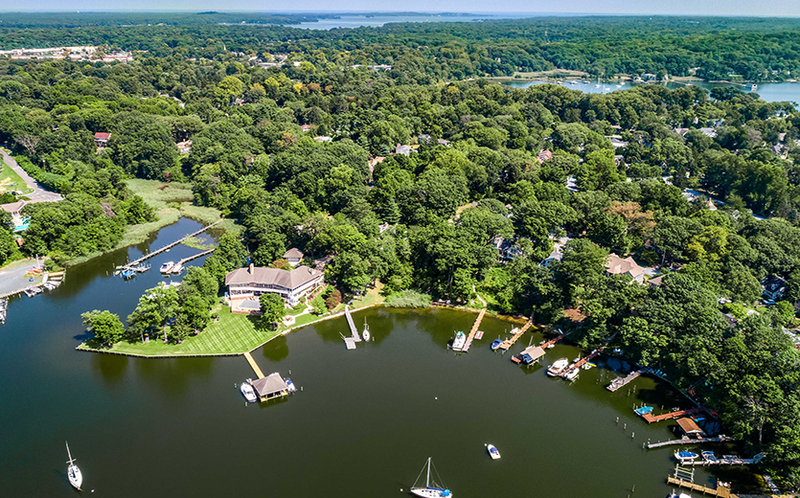 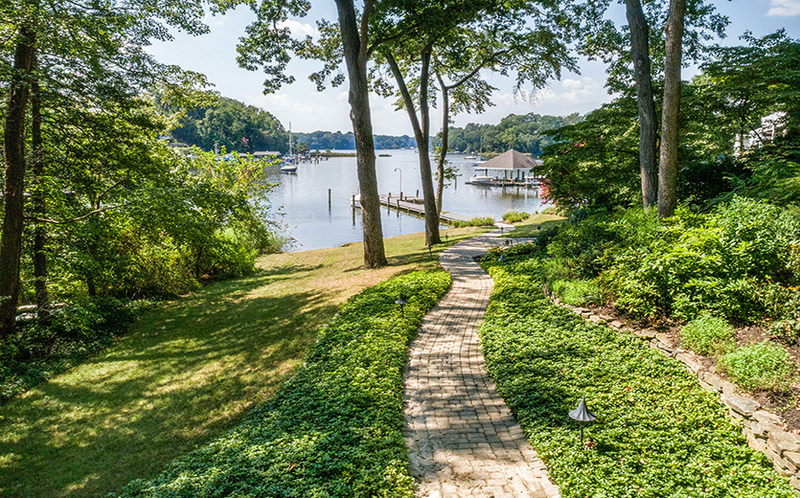 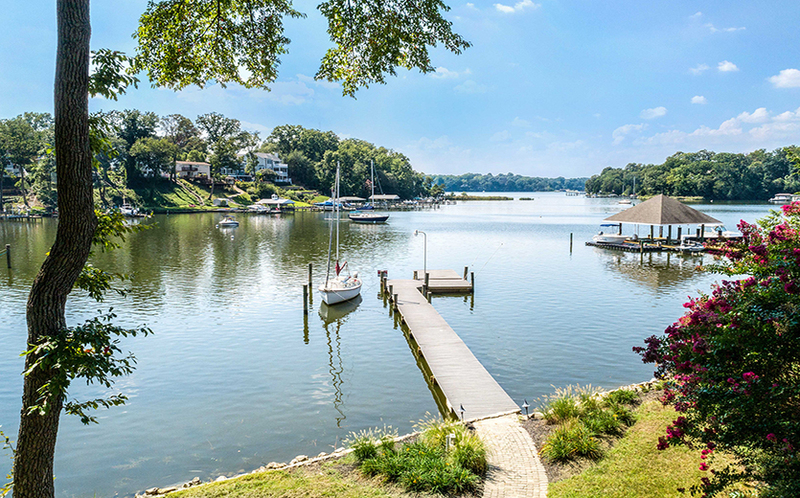 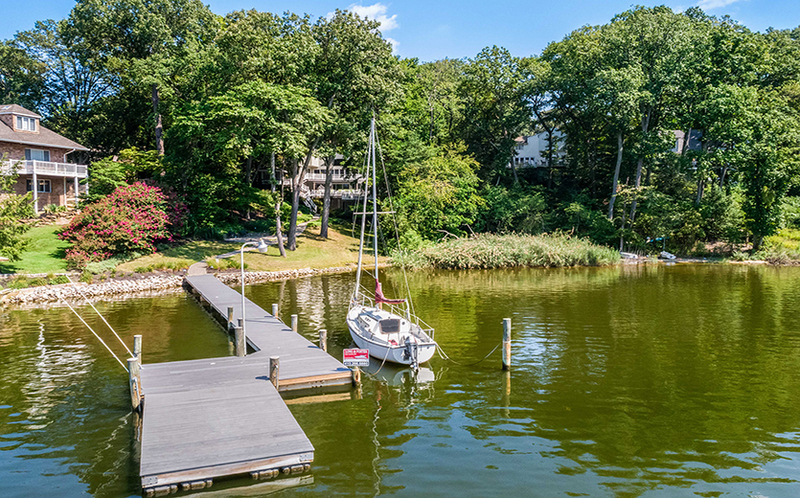 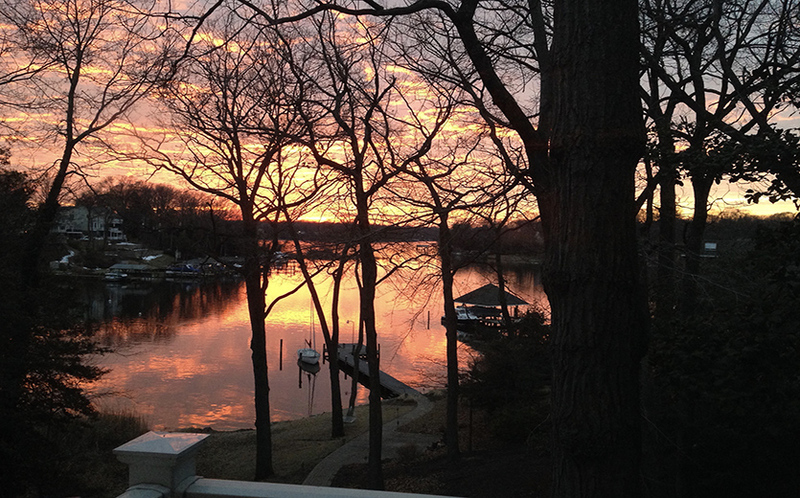 95 Point Somerset Lane in Olde Severna Park offers a total waterfront retreat, with multiple waterside decks, a water view hot tub, and a private pier on protected Yantz Cove just off the Severn River. 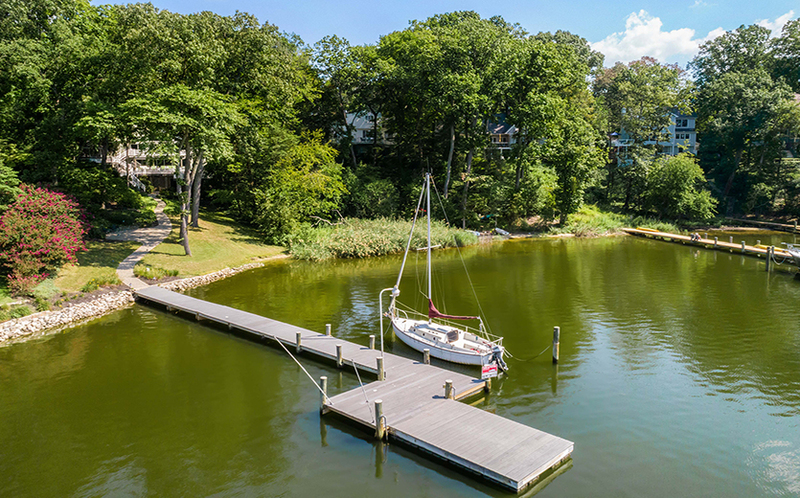 The pier has 5+ ft water depth and can accommodate several boats. 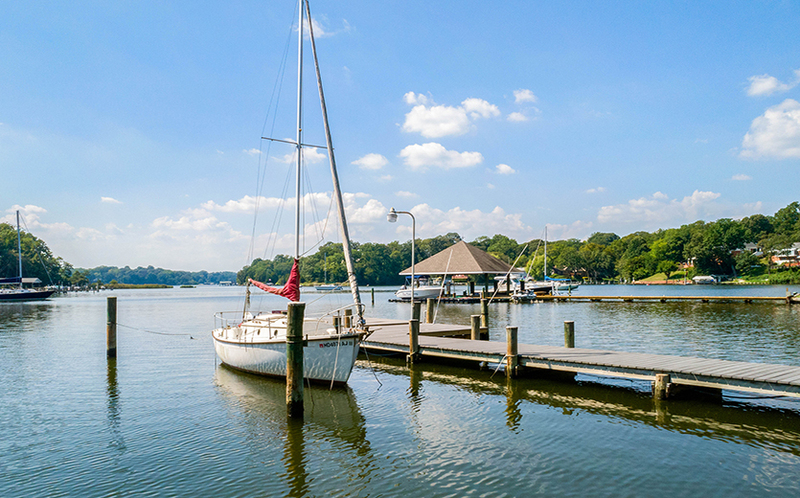 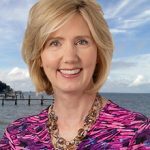 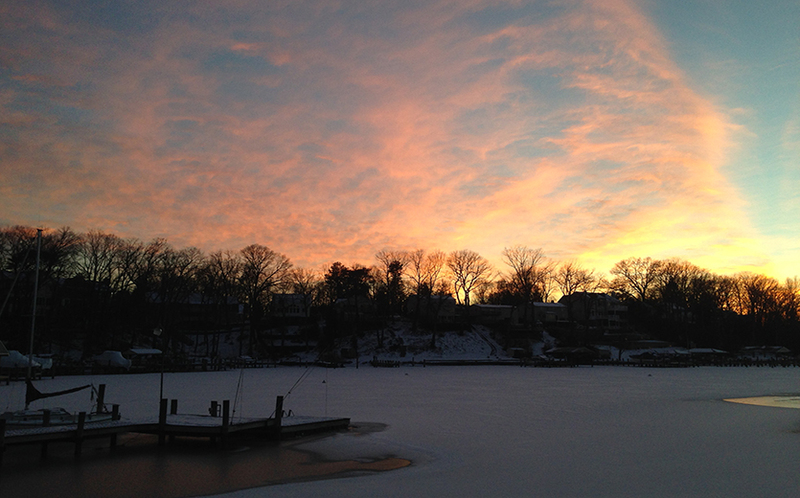 It is a 5-minute ride out to the Severn River and 20 minutes down to the Chesapeake Bay. 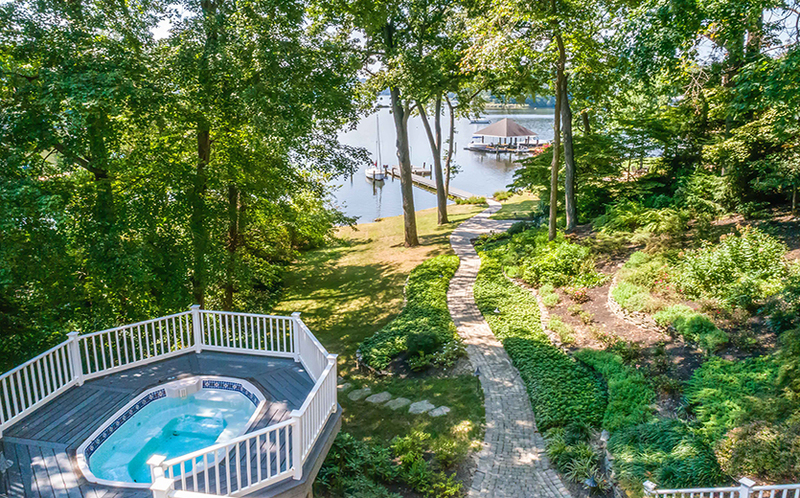 Relax in the hot tub after a day on the water, or sip a cool drink on a hot night and watch Mother Nature paint the sunset! 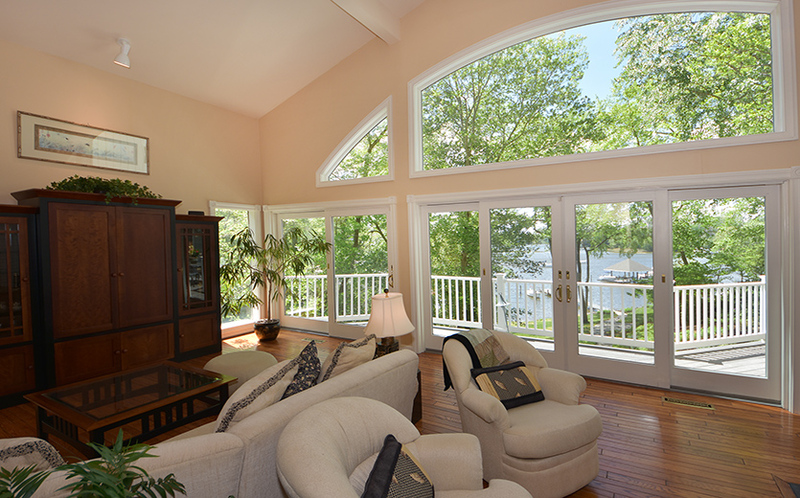 As you step into the foyer, your view is immediately drawn to the two-story wall of windows straight ahead overlooking the water. 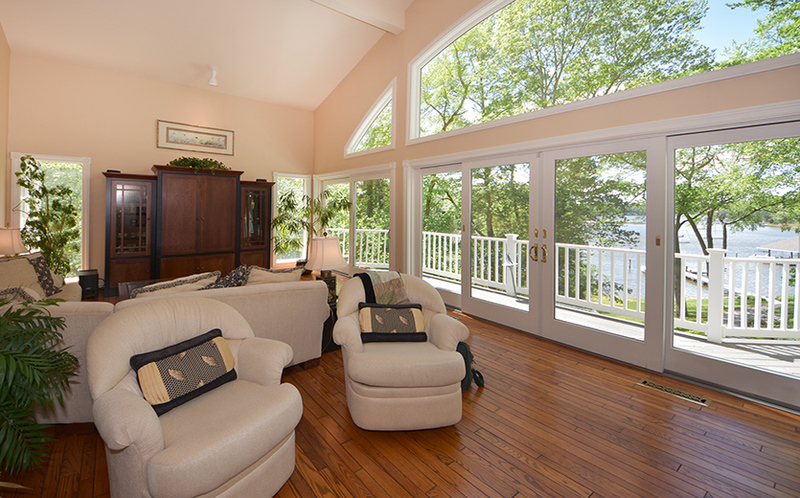 This light-filled space is comprised of the living room and dining room, separated by the two-sided, wood-burning fireplace. 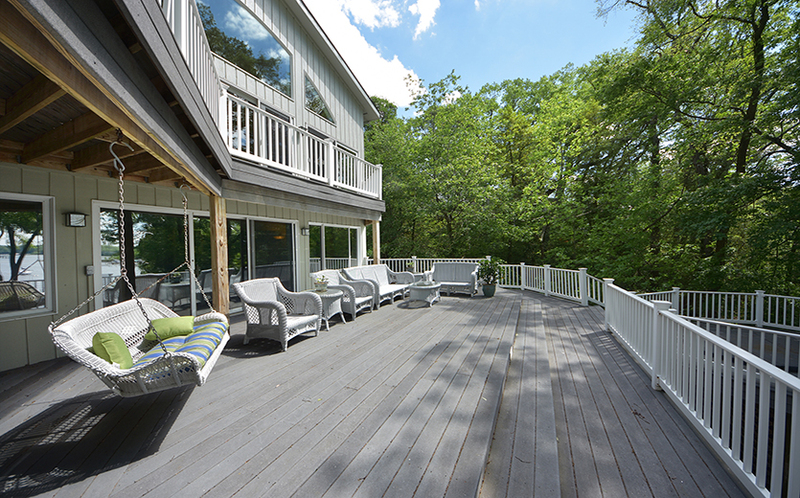 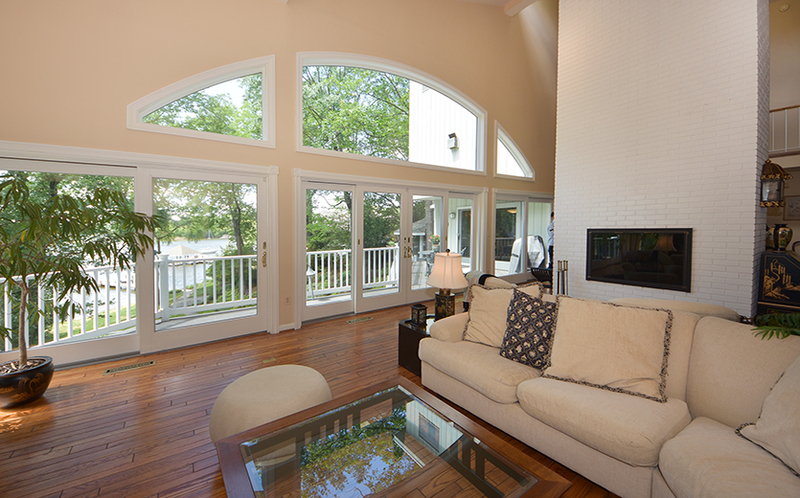 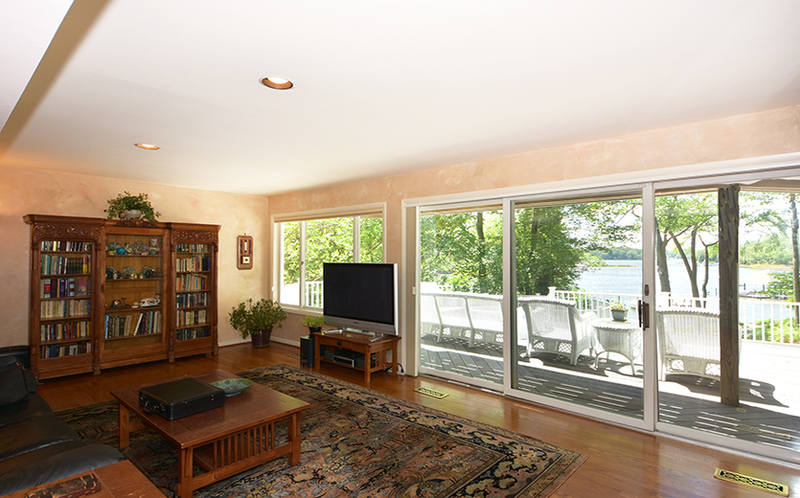 Step out to the spacious waterside deck and enjoy the Yantz Cove views. 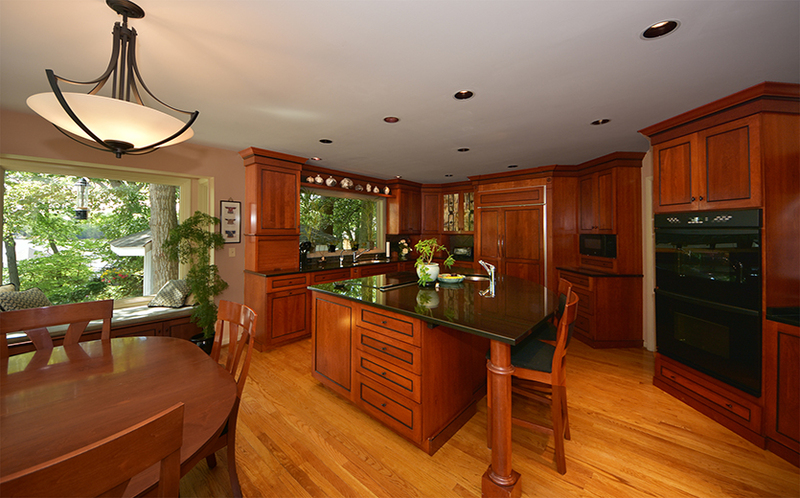 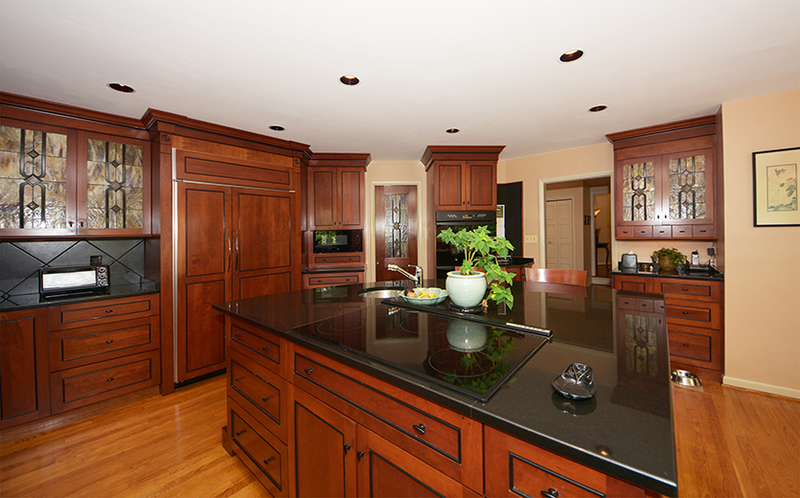 The beautifully renovated kitchen, with water views, has custom cherry cabinets and granite counters. 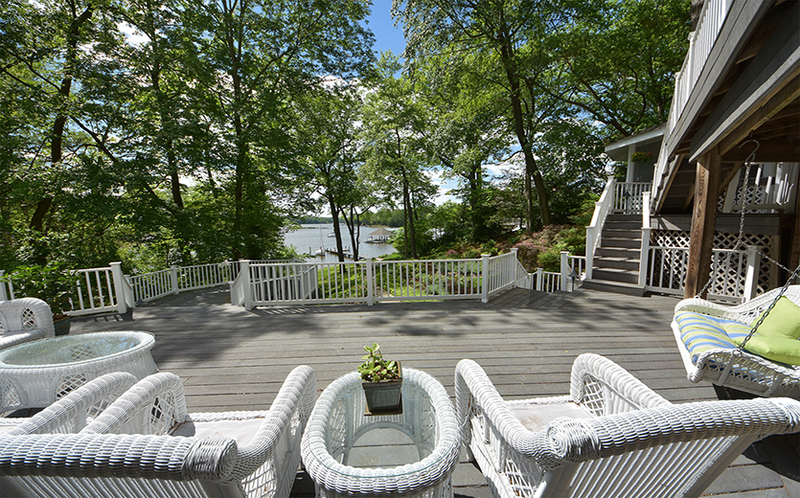 From the kitchen, it is a short walk to the screened gazebo that faces the water – a perfect spot for a summer crab feast! 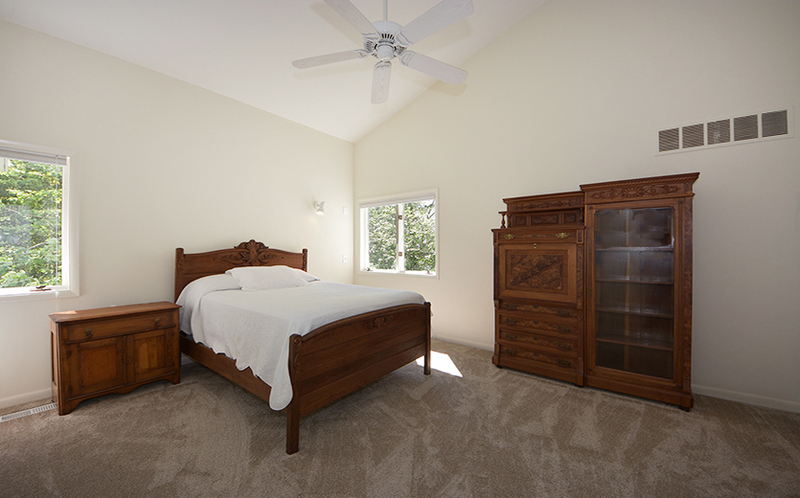 In addition, there are two bedrooms on this level, one of which has an en suite bath. 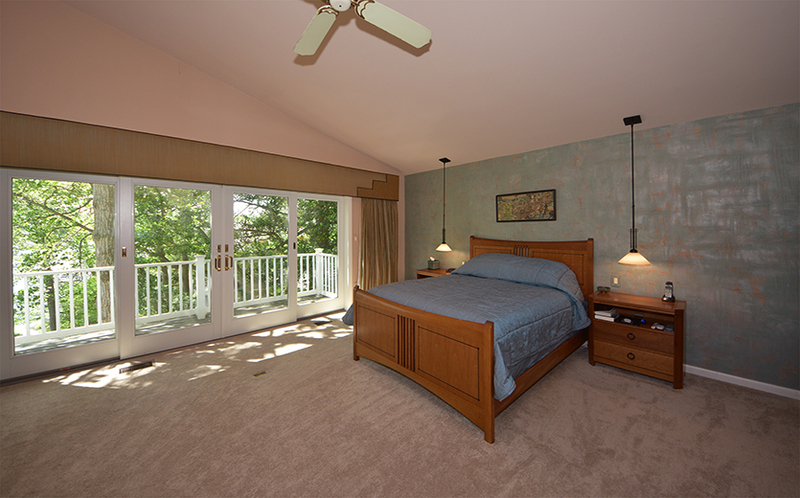 Both bedrooms have water views. 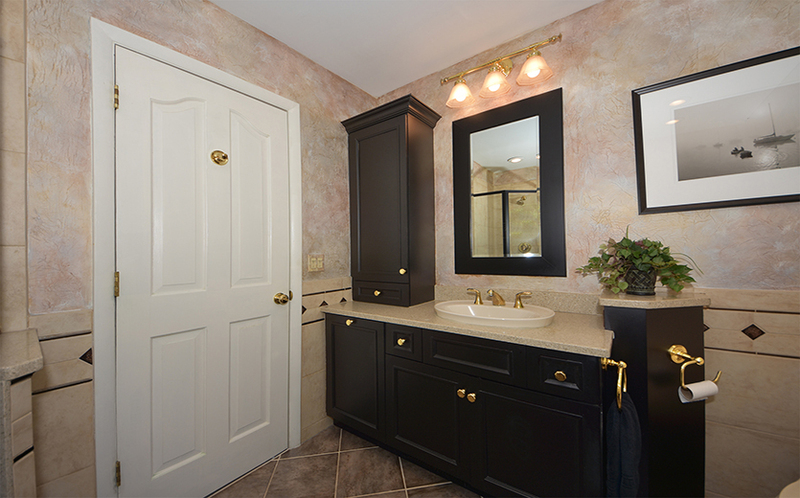 There is a second, remodeled bathroom in the hall and a laundry room. 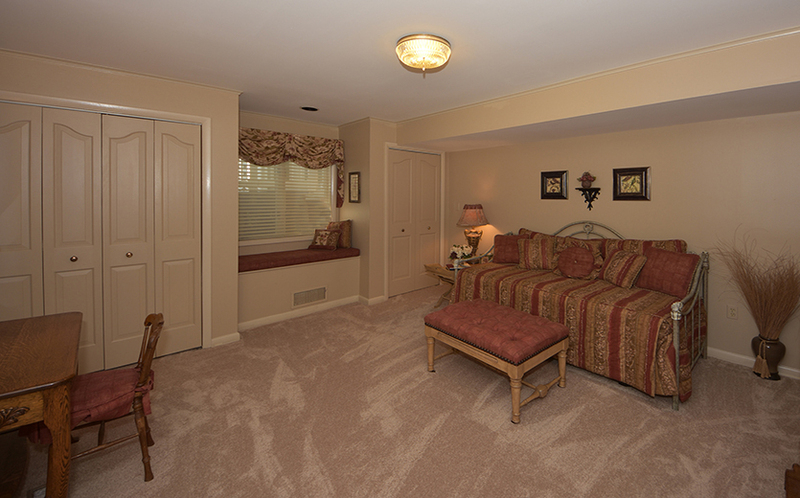 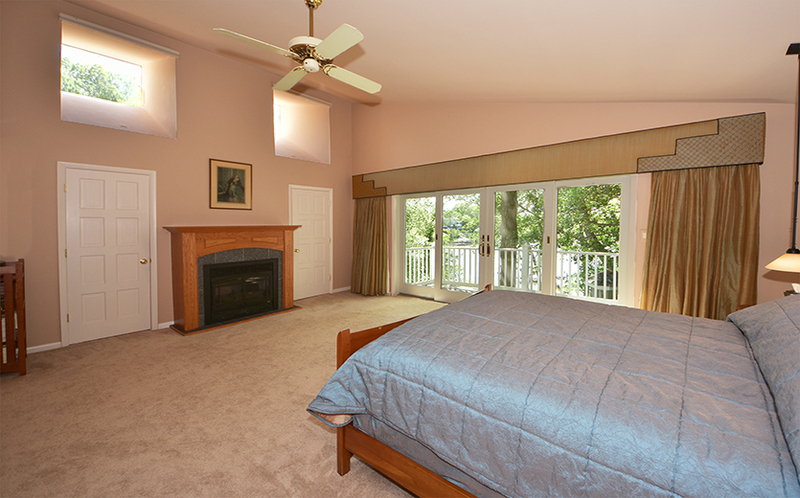 Upstairs, the deluxe master suite has a huge bedroom with waterside balcony, gas fireplace and two walk-in closets. 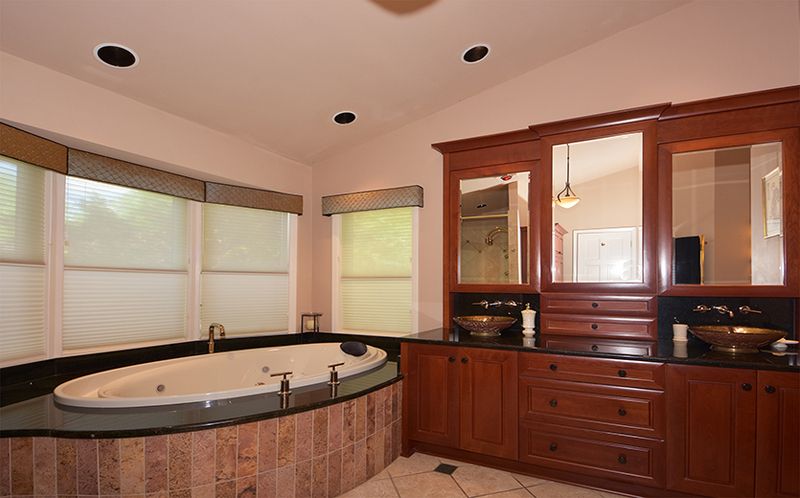 The super spa bath includes a jetted tub, separate vanities, and an oversize steam shower. 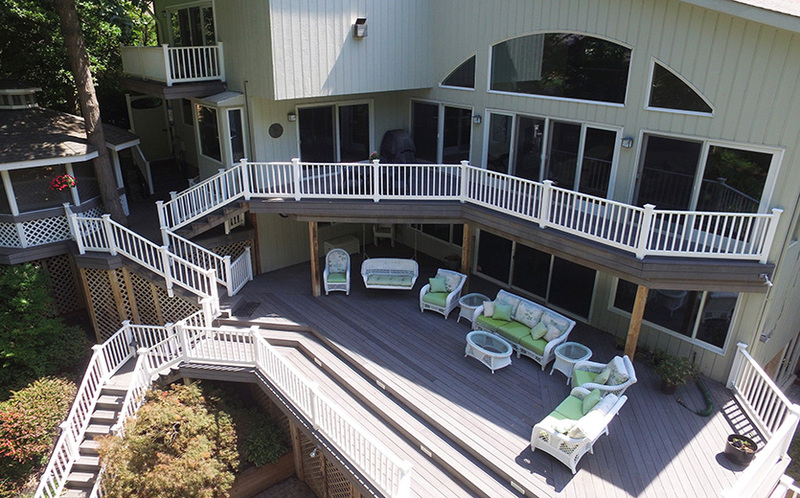 On the walk-out, lower level, there is a large family room with wood-burning fireplace and built-in bookshelves, a 4th bedroom, and a full bathroom. 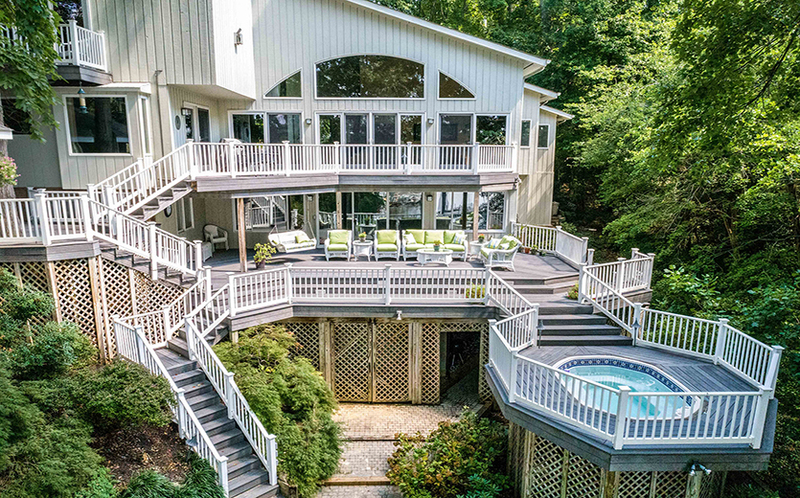 This level also has waterside decking that leads to the hot tub. 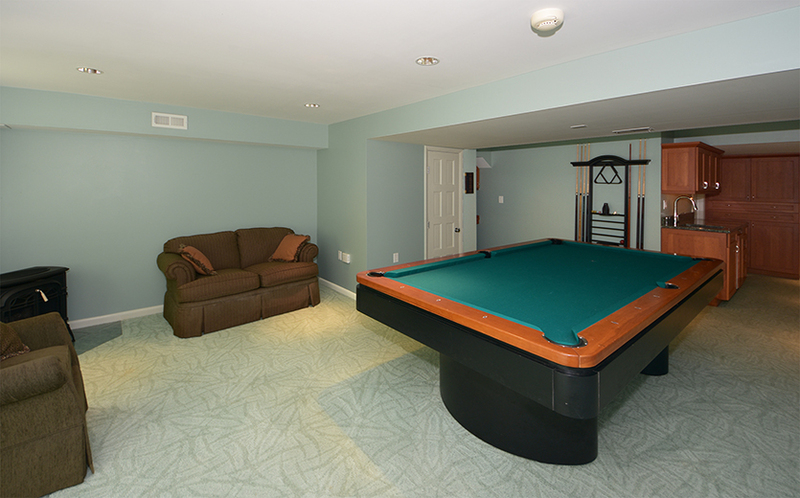 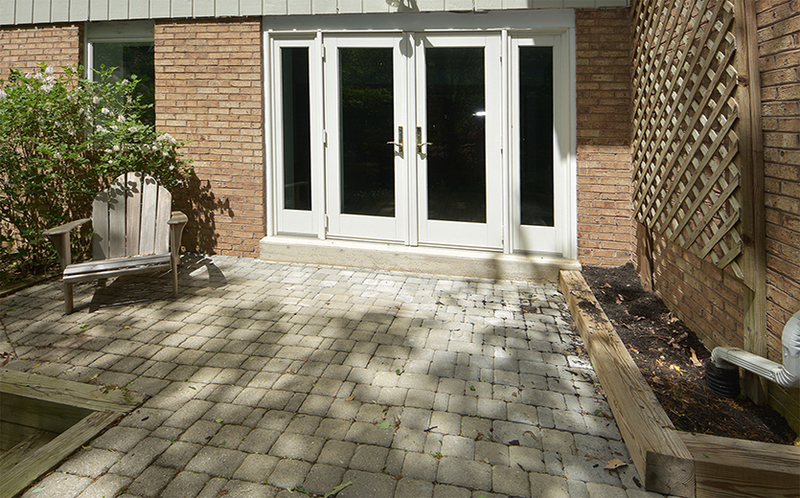 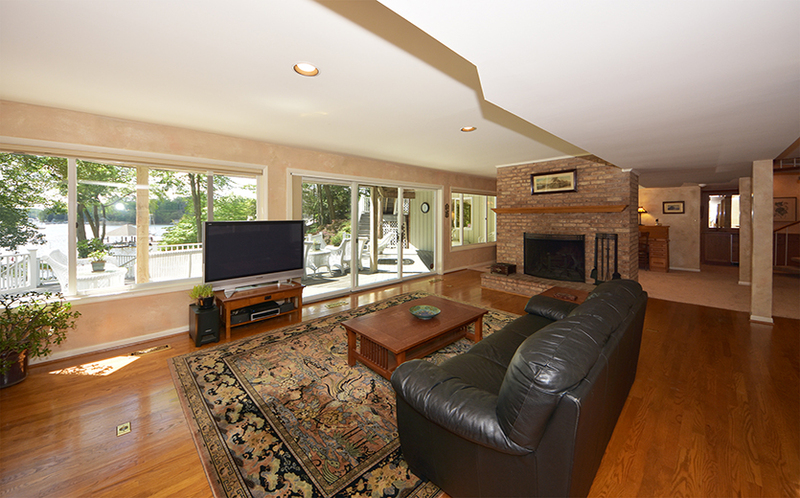 One level below the family room is the game room that opens to a paver patio. 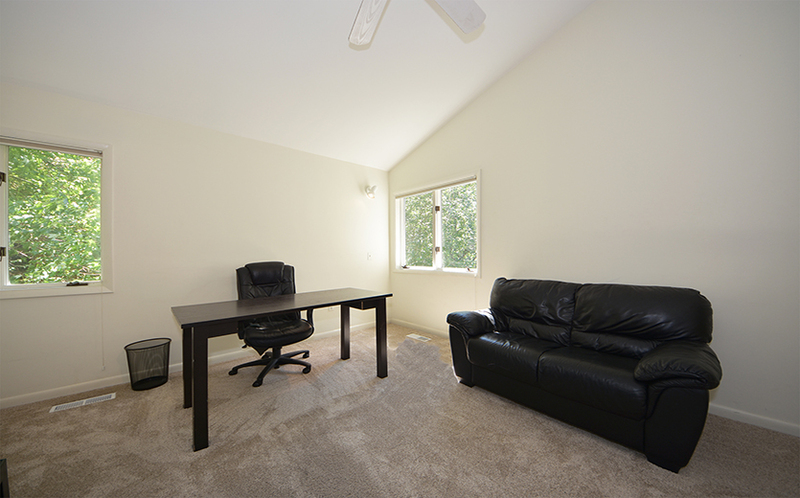 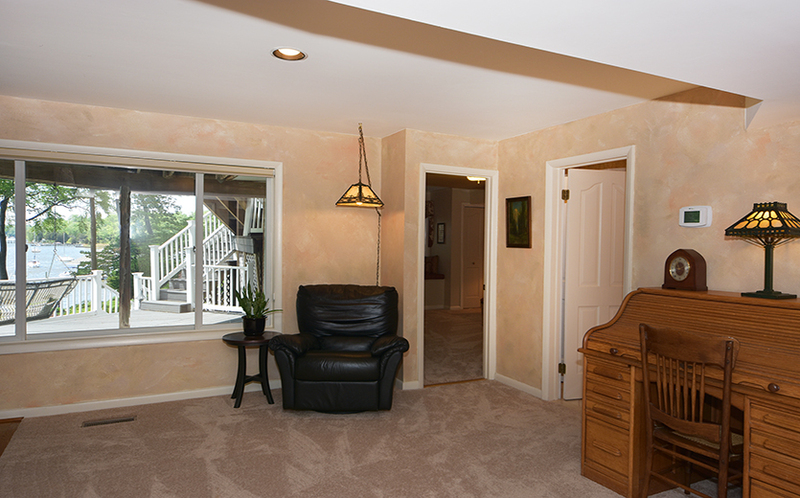 With the built-ins and wet bar, this could also be a very private home office. 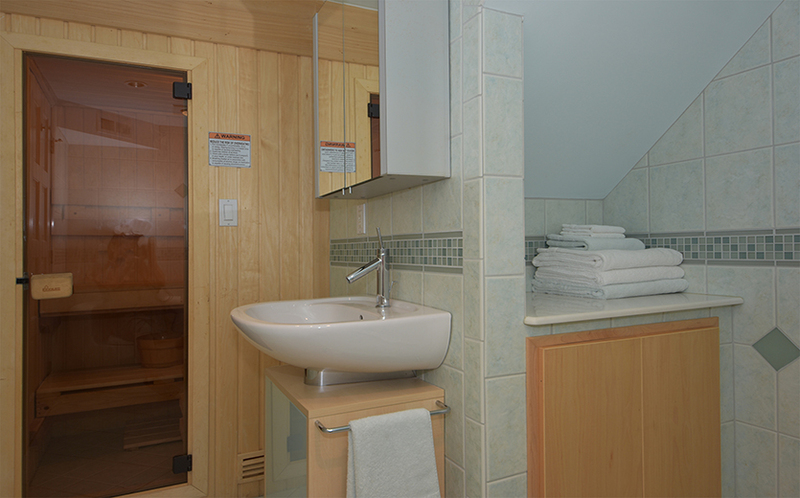 There is a full bath, with sauna, on this level. 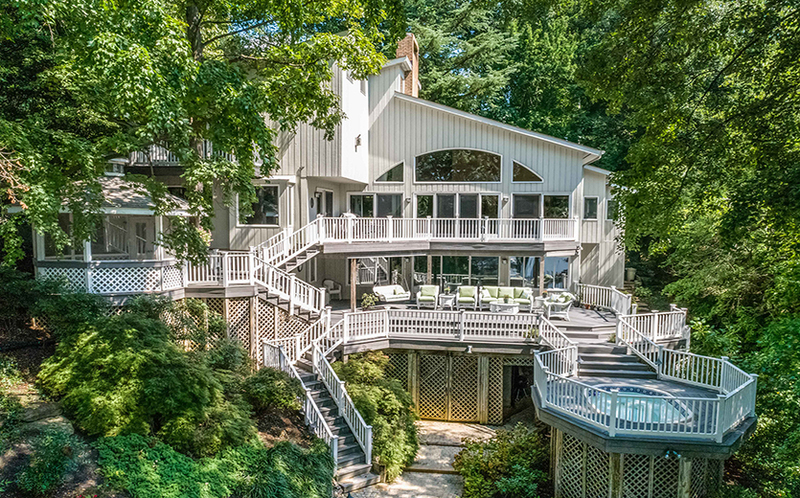 What makes this home so special is the flexibility of the floor plan, the private pier and sunset water views, and the location. 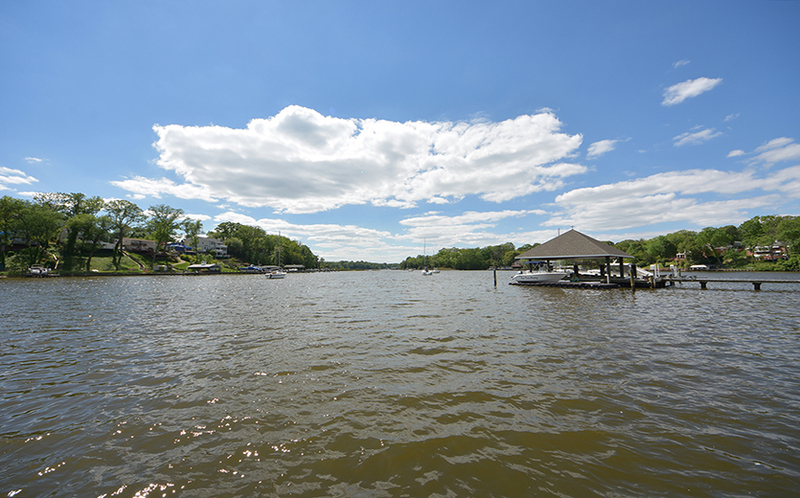 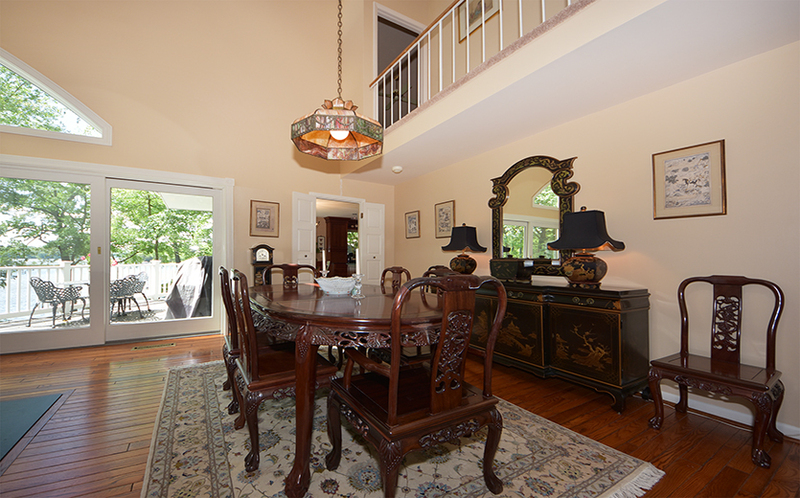 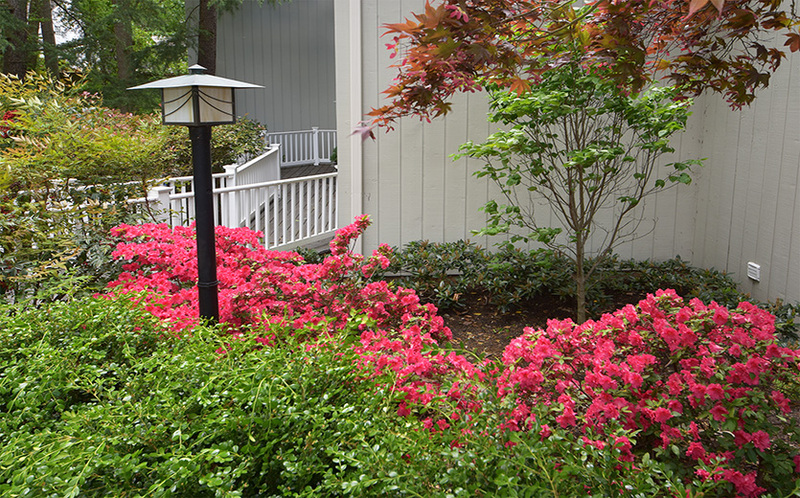 It is literally minutes to shopping, schools, and restaurants in Severna Park and a 15 minute drive to I-97. 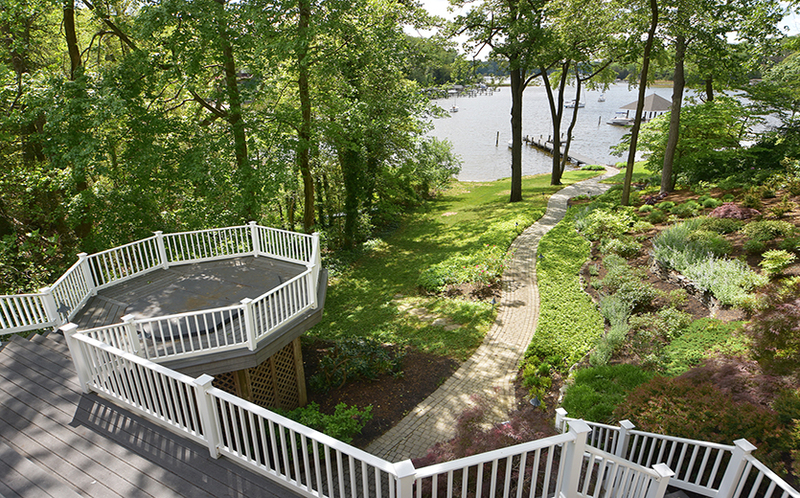 This home is in the Severna Park school district.